The first thing that comes to mind when looking at the Charter Index reservation system dashboard is tracking fiscal performance. This dashboard displays financial key performance indicators like current revenue, commission pay-outs, and leader boards. 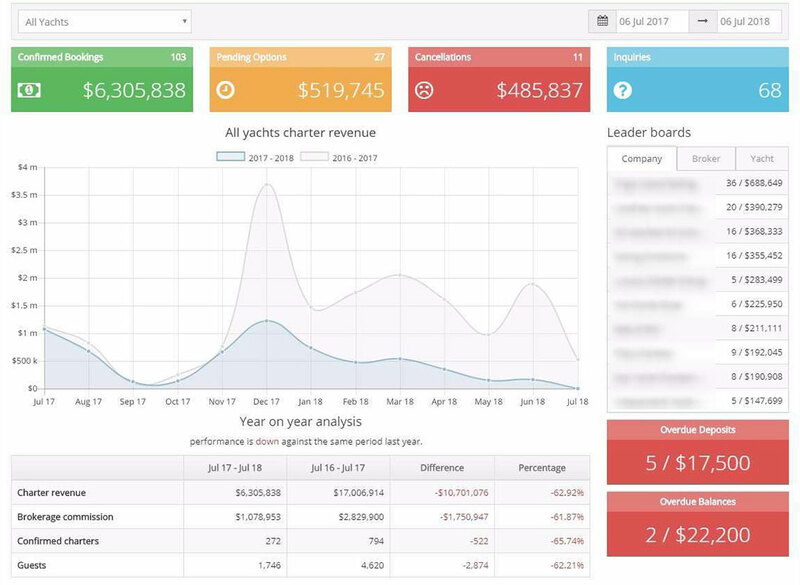 The idea behind the dashboard is to provide a concise, but accurate view of your business performance to get the information you need “at-a-glance” to drive the business forward. Get overall company performance figures and filter down to individual yachts and dates for more granular control.